Amazing ceramic pots for your orchids. Design allows for air flow, light transmission and most importantly, water drainage. Everything you need in the designs you can love! For those orchid crazed folks out there who love ceramic pots, these are for you! Free 5″ Crystal Clear Pot included for lining purposes! 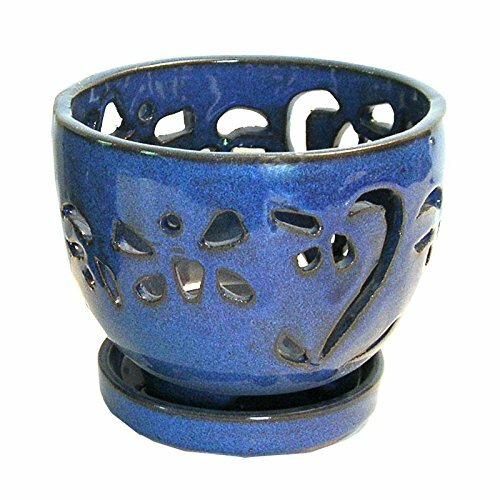 This ceramic orchid pot is a wonderful blue color and the high gloss finish carries down to the attached drip tray which is integrated to elevate the pot above the tray. This pretty round ceramic orchid pot has a gentle contoured shape with both floral and butterfly designs wrapping around its delicate curves. The design provides for maximum aeration and light while keeping orchid roots from standing in water. Each ceramic orchid pot is unique and color varies from piece to piece, and will be a wonderful addition to your display. Approximately 4.5 inches tall and 5 inches wide, these are truly works of art of art and are mostly glazed inside as well. These orchid pots are a beautiful choice for African violets too. Multiple pads on the base protect surfaces. Available in four colors: Aqua, Bay Blue, Parisian Red, and Black Onyx. 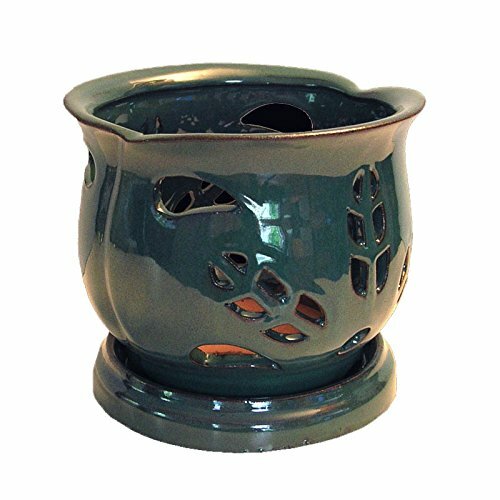 Each pot comes with a free 5″ Crystal Clear Orchid Pot which fits nicely inside. 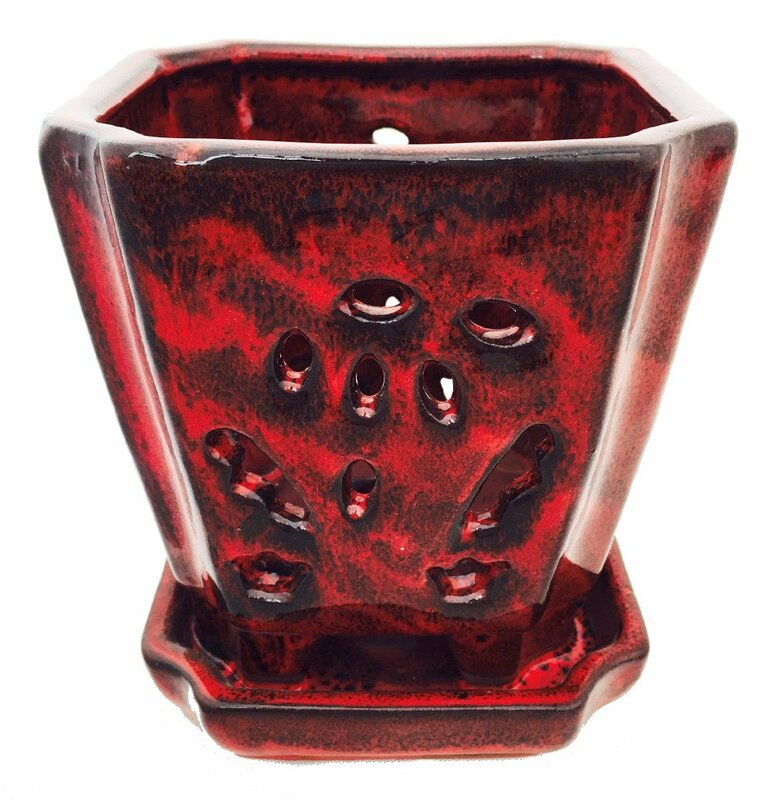 Striking red ceramic orchid pot with holes for proper ventilation and light. Your orchids will love their new home. 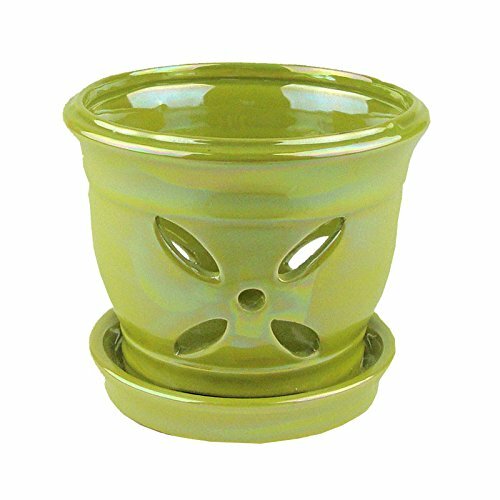 Vivid green ceramic orchid pot that stands out in the crowd but gives you everything that you need for a healthy plant! What a unique design! This timeless piece will house your orchid in style. Proper holes provide the ventilation your orchid requires. 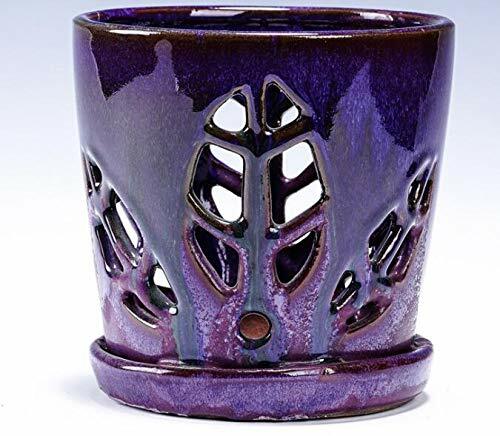 Stunning purple ceramic orchid pot to house your favorite plant in style. 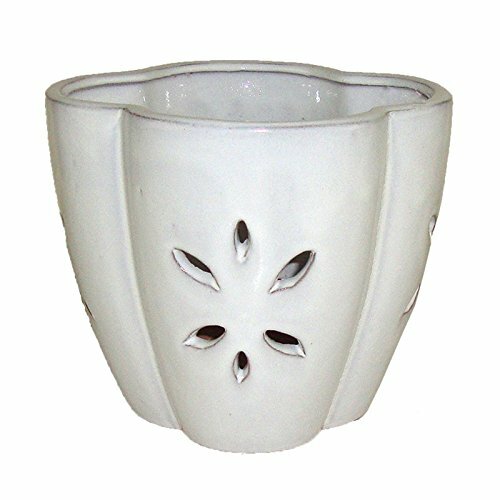 Perfectly unique 6″ ceramic orchid pot from a trusted brand. 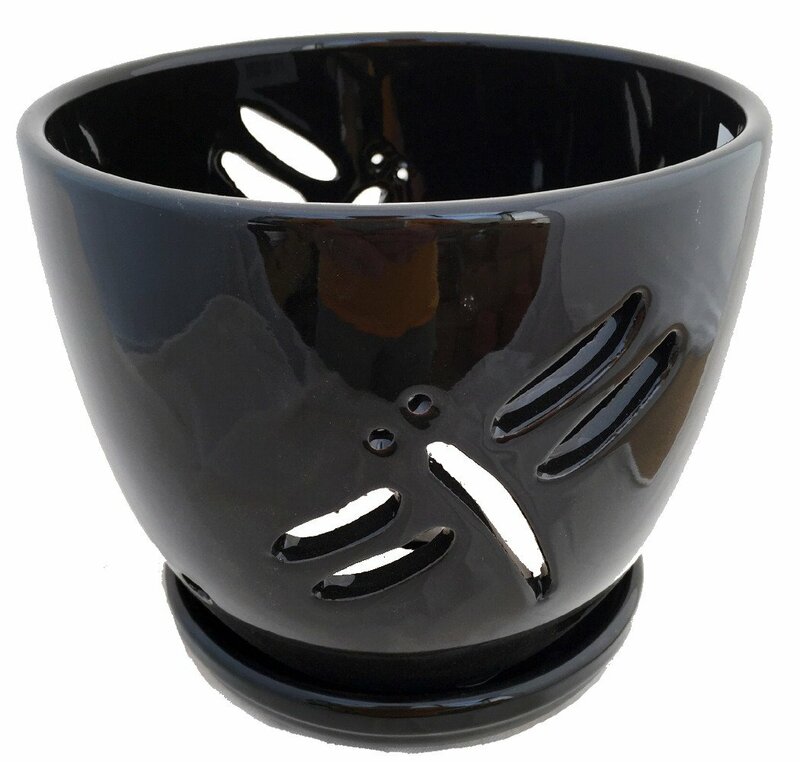 This 7″ ceramic orchid pot from rePotme is a simply elegant design. Large enough to contain your more mature orchids. You simply can’t go wrong with this one. Decor to match any room.